Weekend with Cuddles the dog!! Sorry I have been very quite over the weekend I have been really poorly with a cold and cough so have been trying to rest up. This weekend James brought home the nursery teddy! 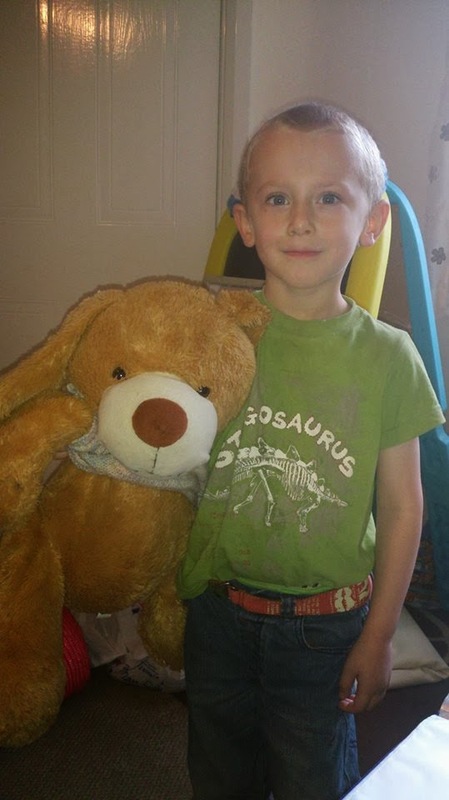 His name is Cuddles and each child at nursery has the opportunity to bring him home and look after him for the weekend. 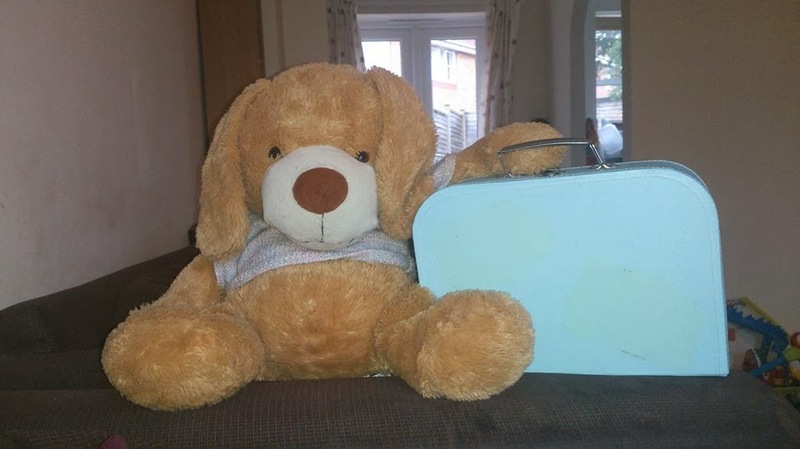 He comes with a little suitcase with a toothbrush, fork and spoon and a comb in along with a diary which you fill out at the end of the weekend with what adventures you had with Cuddles. This weekend James had 2 parties to go to so cuddles came along to those as well as helped put petrol in the car, sat at the table and had breakfast with James, snoozed in the car, Travelled up the escalator in the trolley and helped make a pirate treasure map! James had great fun looking after Cuddles and I think its a great idea from the nursery! It had James wanting to get himself and cuddles dressed for bed, clean his own teeth and brush his own hair! Cuddles has come everywhere with us this weekend and I think James will be sad to see him go but we will have great fun filling out his diary with a few photos we have taken over the weekend. That is so cute. We had this in the 6th grade but it was a hamster. He was out class pet! That is awesome James enjoyed it. Teaches them about responsibility.